The Diplomats were one of the best known Brumbeat groups who never had any record releases, although two of their line-up would go on to form two of the most successful and influential bands to come out of Birmingham in the 1960s. "Denny was the most ambitious person I'd ever met"
Beverley "Bev" Bevan was born on November 25, 1945 and grew up along the busy Stratford Road in Sparkhill, Birmingham. He learned to play the drums while a teenager and formed a band with some friends at Moseley Grammar School in the early 1960s. The line-up included guitarists Phil Ackrill and Tony Lewis with vocalist Ronnie Smith. Bev's school friend Bobby Davis, who lived in Acocks Green, occasionally appeared as vocalist but more often helped out as a roadie and general supporter. The group's first public performance was at the Hall Green Youth Club. Like many young bands at the time, they performed mostly instrumental numbers as being influenced by acts like "The Shadows". Bobby Davis would eventually go on to become a professional comedian and enjoy much success when he changed his name to "Jasper Carrott". After trying out different names, the line-up decided to bill themselves as Ronnie and The Senators. They started to get bookings around Birmingham, including regular appearances at the infamous "Las Vegas Coffee Bar" near the city centre. Bev Bevan wrote; "We played there two or three nights a week until two o'clock in the morning. The place was packed wall to wall with prostitutes, pimps, perverts and homosexuals - not that we knew one from the other!" Note: "Ronnie and The Senators" should not be confused with another West Midlands group called The Senators who had future Led Zeppelin drummer John Bonham in their line-up. 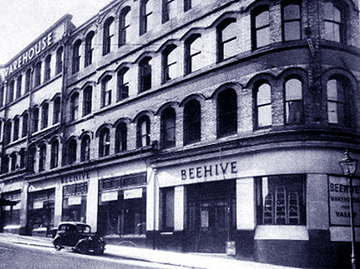 Upon leaving school, Bev Bevan and Jasper Carrott found jobs as trainee salesmen at "The Beehive" department store on Albert Street in central Birmingham. It was while working there in 1962 when Bev met Brian Hines (Denny Laine), a young and ambitious singer/guitarist who was looking for a competent and committed band to perform as his backing group. 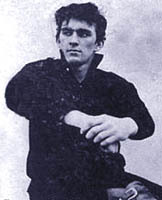 Bev said; "At that time Denny was the most ambitious person I'd ever met. To hear him talk just about anything was possible." 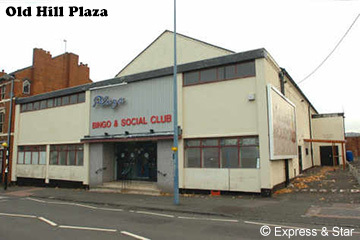 Brian Hines was born 29th October 1944 and lived in Holcombe Road, Tyseley. A talented singer, one of his earliest groups was "Johnny Dean and The Dominators" who played regularly at The Mermaid pub on Stratford Road. The Dominators also included drummer Tim Bellamy and guitarists Tony Elson and Dave Wheeland. "Johnny Dean" was an early alias for Brian who worked in the electrical department at Rackhams by day but he had ambitions to turn professional and soon convinced Bev Bevan along with Phil Ackrill from Ronnie and The Senators to join his new backing group. Brian changed his name to "Denny Laine" and his group was to be called "The Diplomats". The line-up was completed by the addition of bass guitarist Dave Wheeland from Denny's old group The Dominators. "John Bonham used to watch me and The Diplomats at the Wednesbury Youth Centre"
The Diplomats were well received on the local live circuit and began to undertake many bookings in the Birmingham area. Denny Laine started composing original songs for the group, although back in those days, it was rare for unsigned groups to perform their own material on stage. Denny Laine recalled; "John Bonham used to watch me and The Diplomats at the Wednesbury Youth Centre. Years later he stayed at my house and we got drunk. He started singing 'Why Cry', 'A Piece Of Your Mind', and a few other originals we used to do. He knew all the words and everything. Unbelievable!" Bass guitarist Dave Wheeland emigrated to Australia and was replaced by Steve Horton. In an effort to stand out from other groups, the Diplomats all bleached their hair blond and aquired a van on which they painted the name 'DENNY LAINE AND THE DIPLOMATS'. The group could now get to more bookings outside of Birmingham and occasionally venture into London. Like Denny, Bev Bevan and Phil Ackrill adopted their own "stage names" when it was decided they should appear as brothers when introduced on stage or interviewed by reporters. With this in mind, they became "Bev and Steve Ralston"! It was around this time when the EMI Record Company showed some interest in the group and signed them to a contract. Although a number of songs were recorded under the direction of John Birch (who had also produced Freddie and The Dreamers) nothing by Denny Laine and The Diplomats was issued on record and this was to be a continuing source of frustration to Denny Laine who had his sight set on the "big time". One evening when the Diplomats were performing in Scunthorpe, they were approached by a young Elvis look-alike known as Nicky James who persuaded the group to back him while he performed a few songs. Denny Laine was so impressed by the performance that he immediately asked the singer to join the Diplomats and so the group became "NICKY JAMES with DENNY LAINE and THE DIPLOMATS". Coincidentally, Nicky James was also from the West Midlands and had grown up in the Black Country town of Tipton. 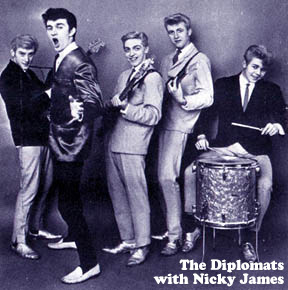 It was after Nicky James joined the line-up when the Diplomats were auditioned by well known producer Tony Hatch from the Pye record company in early 1963. The group went down to London where they recorded some songs including an original composition of Denny Laine's titled 'Forever And A Day' for possible single release*. Unfortunately, the Diplomats were later informed by Pye Records that a contract would not be forthcoming. Despite the record company rejection, the Diplomats may have felt some consolation by playing support as opening act for The Beatles at The Plaza Ballroom in July at Old Hill. The Beatles arrived late, forcing The Diplomats to extend their performance by which time the impatient audience of mostly teenage girls almost started a riot! Perhaps even more significantly, Denny Laine met Paul McCartney for the first time at this gig. Fate would eventually see their paths cross again. Later in 1963, Nicky James was offered a solo recording contract with Pye Records and this effectively ended his association with Denny Laine and The Diplomats (see Nicky James). The Diplomats carried on as a four-piece group and for a short time had local singer Buddy Ash (see The Brumbeats) as Nicky James' replacement, but although they had plenty of bookings and occasional appearances on TV, Denny Laine grew ever more restless at the group's lack of success as recording stars. By early 1964 when he was not appearing with the Diplomats, Denny Laine was rehearsing with a new blues-based line-up in Birmingham called "The Soul Preachers" - soon to become the Moody Blues, and by April of that year he had left the Diplomats for good to concentrate on this new project. The Moody Blues after getting signed to Decca Records, would enjoy worldwide fame by the end of 1964 with their classic recording of Go Now climbing to number one in the record charts (see The Moody Blues). "One of the new guys we hired got married within six months... then Phil decided to get married too"
Following Denny Laine's departure, the Diplomats decided to carry on with replacements; singer Jim Onslow from Park Hill Road, Harbourne, and guitarist Mike Hopkins, both who had been members of Gerry Levene and The Avengers. Although the Diplomats continued to play bookings throughout the Midlands area, the effects from the loss of Denny Laine as their charismatic frontman and driving force became ever more apparent and the group began to lose direction. Steve Horton (who couldn't sing) was unfairly fired from the band because of declining bookings. He later joined Keith Powell's backing group called The Valets. Bev Bevan wrote; "I don't think I can recall a more depressing time. One of the new guys we hired got married within six months and there is nothing like responsibilities to kill interest in working with a struggling rock group. Then Phil decided to get married too." 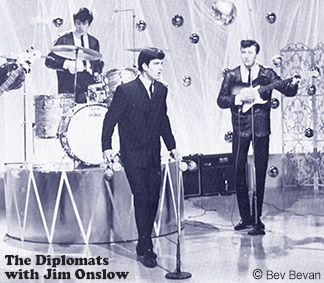 By the end of 1964, the remaining Diplomats threw in the towel and disbanded with Phil Ackrill leaving the music scene to become an accountant and Jim Onslow taking a break to get married and raise a family (see Jim Onslow). Mike Hopkins joined former Diplomats vocalist Nicky James as part of "The Nicky James Movement". Bev Bevan joined "Carl Wayne and The Vikings" for a German tour in early 1965 (see Carl Wayne and The Vikings). Bev Bevan eventually found fame as drummer for The Move and was also a founding member of the Electric Light Orchestra (E.L.O.) with Roy Wood and Jeff Lynne who became one of the most successful rock groups of the 1970's. Mike Hopkins became a member of the Birmingham group Lemon Tree and in 1970, replaced Jeff Lynne in the Idle Race. Although Denny Laine left the Moody Blues in 1966 for a solo career, he would eventually join up with Paul and Linda McCartney in 1971 to become a founding member of "Wings", a group that would enjoy 10 years of international success with multi-million selling albums and world tours. Denny Laine co-wrote with Paul McCartney the song 'Mull Of Kintyre' which became one of the UK's biggest selling hit singles of all time (see Denny Laine). *Note: The Diplomats recording of 'Forever And A Day' was eventually issued in 2006 as a track on the bonus CD included as part of the Moody Blues "Classic Artists" DVD set. Sources: 'Midland Beat' various issues; 'The Electric Light Orchestra Story' by Bev Bevan 1980; 'Brum Rocked!' by Laurie Hornsby 1999; Alan Clayson 'Record Collector' July 1995.